This is the guy who gave me some of the coolest MC jobs back in the day! At the time he was working for Burton and we did classic events at Tokyo SSAWS indoor resort and the Nippon Open Half Pipe events right after the 98 Olympics and lots more cool stuff. Now he has gone on to create one of the coolest brands to come out of Japan for a long time Visvim. Check him out! Much respect! Nakamura Hiroki. Hiroki Nakamura of visvim – Building from the Inside Out from Hypebeast on Vimeo. 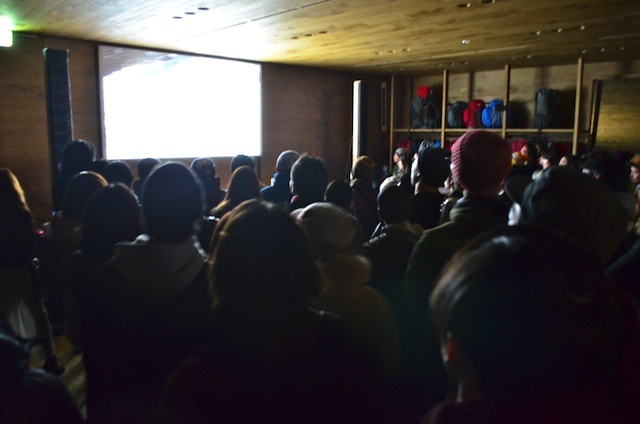 Thanks to everyone who came out for the “This Is My Winter” showing at TNF Harajuku. It was a great crowd and it was fun to meet and talk with a lot of snow loving people. The reaction to the movie was great, it is certainly impressive to watch it on a big screen. We will be doing only two more showings, at Appi on the 28th and in Niseko on the 18th of February. Hope to see you there! If you can’t make it please check in out on your computer screen! 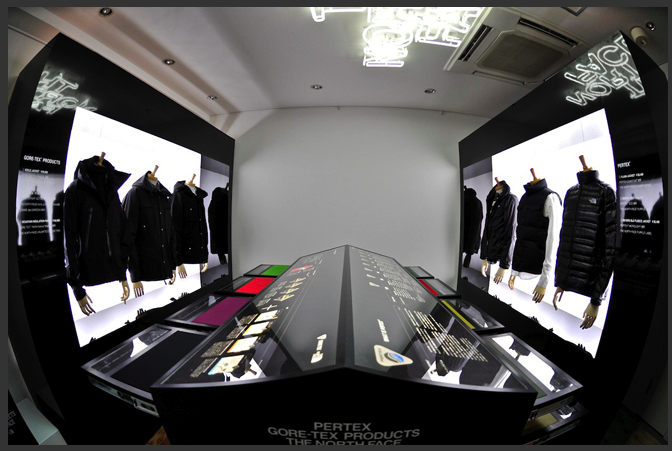 The much talked about and much viewed movie from Xavier de Le Rue is coming to Japan and a NORTH FACE store near you! 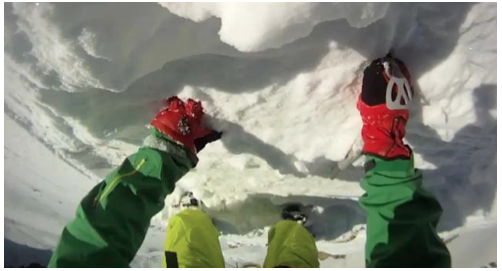 I am going to be hosting 5 showings of this amazing snowboard/mountain documentary this season. All are free entrance events, so please check the schedule below and see if you will be able to join us! Just back from Tokyo and wanted to share the recorded version of “Base Knowledge Vol. 1” here along with a few shots from our set up for the show. It was a lot of fun to finally be involved with a Ustream live broadcast. Something I have wanted to do for awhile now. For 20 years now I have been working in radio, TV, and filming, on both big projects and small. The amazing simplicity and ease with which we can now set up and broadcast a live program to the world is a fantastic feeling. A few cameras a switching board, and laptop computer, that’s it. We got over 6000 total views during the live airing so we were pretty stoked on that, thanks for the support. The next edition is planned for August the 19th, but thanks to the success of this show you may see some other North Face related programs in the near future! I will be in Tokyo to direct the Ustream live broadcast of this workshop. If you are in the Shibuya area on Friday night please stop by and check it out live, otherwise tune in for the webcast. 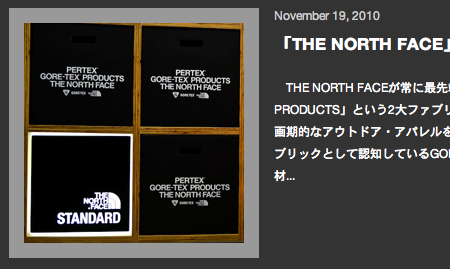 If you are on Facebook check out the new TNF (Japan) page and give them a like! It has been a crazy week! Had no time to blog, heck didn’t even have much time to sleep! On Thursday I took a short one night trip to Tokyo for the special reception at the North Face Standard store in Harajuku. 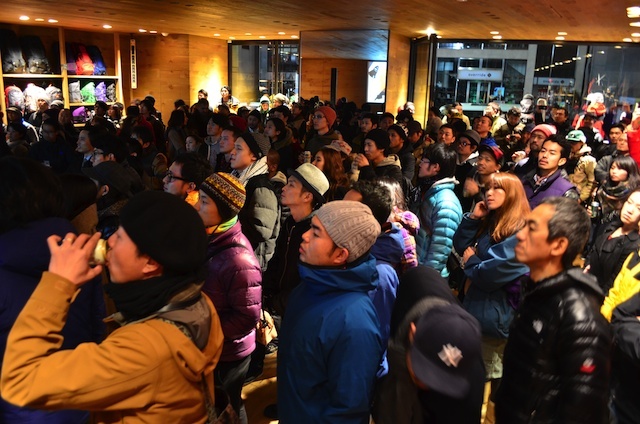 This was a collaboration event to celebrate the creation of a new product under the North Face label. 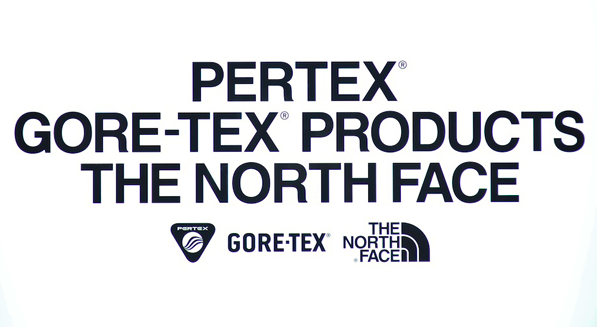 For the first time ever Gore-Tex has been applied to the Pertex material and made into what might be the lightest ever waterproof jacket. This limited edition Jacket is for sale at Standard now, so get one before they are gone. This is Tokyo trust me they will go fast. Here are a few shots, you can see more on the www.hayabusa.bz web site, click to check it out. 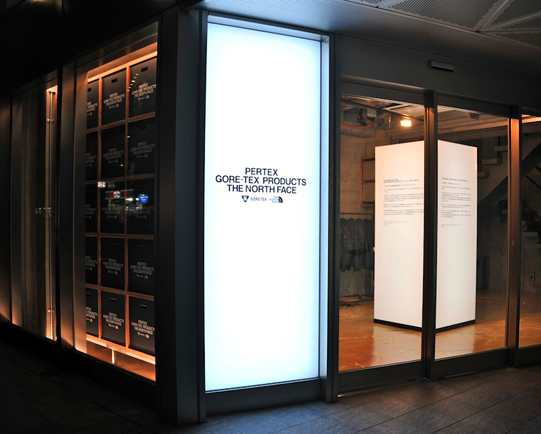 If you want to get your geek on go straight to the 4th floor and read up on the history of Pertex and Goretex and how they combine the materials. Displays are pretty cool looking as well. The Standard entrance and interior has been redone for the event and will stay this way for the next two or three months. Thanks go to Hayabusa for the nice story and use of my pics.